A salvaged vehicle has been damaged to the point where repairing it would cost the owner more than it’s worth. A vehicle is usually salvaged after an accident, breakdown or other incident makes it impossible to be used. When this occurs, the owner’s insurance company will deem the vehicle totaled, and a salvage title will be issued by the DMV, making it illegal to drive or sell the car. From there, it will either be sold for parts or sent to a mechanic facility. If repairs are possible, the vehicle will be fixed up, issued a new title and readied for sale. However, it will be forever marked as “salvage” so that potential buyers have an idea of what they’re getting themselves into. Buying a salvaged car is potentially a very risky move. However, for those with a little insight, it can also be a good way to save money. Vehicles can be salvaged for a number of reasons, and some may present more of a risk for long-term troubles with the car’s functionality. For example, a car that spent six hours underwater during a flash flood might suffer more problems than one that got banged up by a group of wild teenagers. Depending on where you live, you might see the reason for the damage listed on the car’s title. If you aren’t sure, it can’t hurt to ask where the car came from and why it was salvaged. You can also ask to see the original repair estimate, which will show you what was repaired and give you some insight into what the car has been through. If you can, arrange to take the vehicle to a repair shop for an inspection before you decide to purchase it. The car might look okay on the surface, but it will take the eye of an experienced mechanic to really determine if you will see problems in the future. Before you buy, always do your research. Since buying a salved vehicle is such risky business, it’s important that the seller has a good reputation in the community. If you search online for reviews of the company, you should be able to get an idea of how satisfied customers were in the past. If you see a large amount of negative reviews, take it as a red flag and move on. Insurance companies have different policies on salvaged vehicles, so you should always talk to your provider before making a final purchase. Although you will likely be covered no matter what, the payout you receive after an accident will probably be a lot less than it would with a regular used car. Hopefully, you will never get into an accident, but it’s always a good idea to be prepared for how owning a salvaged car will affect your finances. The last major issue with owning a salvaged car is the fact that you may have more trouble selling it in the future. Some dealerships will not accept a salvaged vehicle as a trade in, and many private buyers either don’t want one. 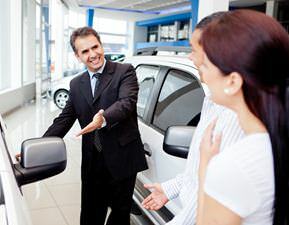 This doesn’t necessarily mean that you won’t be able to sell the car, but it might take you a bit more time, and you might not receive very much money for it.